Queens CB 11, which endorsed the bike lane in June, officially changed its mind on Monday. The city is going ahead with the project anyway. In June, Queens Community Board 11 voted 18 to 11 to endorse DOT’s plan for traffic calming and a protected bike lane on Northern Boulevard near the Joe Michaels Mile bike path, where 78-year-old cyclist Michael Schenkman was struck and killed by a motorist last summer. Monday night, the board officially reversed its position, endorsing a less effective but more expensive proposal put forward over the summer by transportation co-chair Bernard Haber. The city is standing firm, moving ahead with the project in the face of an escalating pressure campaign that has now roped in State Senator Tony Avella. “DOT is open to continuing the discussion about board member Bernard Haber’s concept, however, DOT’s plan, which incorporated much of the Board’s previous feedback and received a vote of support this summer, allows the agency to immediately deliver critical safety benefits for the community and all street users,” the agency said in a statement. The DOT project will repurpose one car travel lane to make room for a two-way bike lane protected from motor traffic by Jersey barriers. 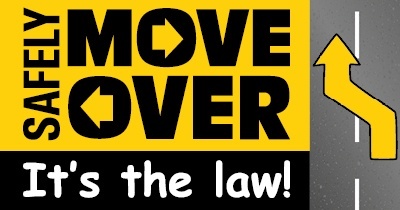 Haber wants to keep that space for motor vehicles. His idea is to put a shared biking and walking path on the sidewalk, which he believes could be expanded a few feet into the Alley Pond golf course. When Haber floated his concept in June, DOT reps told him it would be costly and complicated, requiring approval from multiple agencies and an expensive capital construction project, which would take years to complete. At Monday’s CB 11 meeting, DOT’s Ted Wright estimated it would cost $10 million dollars and take five years, according to audio of the meeting obtained by Streetsblog. Haber, with assistance from board chair Christine Haider, worked over the summer to get CB 11 to reverse its earlier vote. He prevailed on the transportation committee to endorse sending a letter to DOT suggesting an open mind on his plan. The letter that Haider sent went far beyond what the committee agreed to, arguing that the June vote was illegitimate because of “poor” process. “We cannot accept the permanent reduction in the westbound truck and passenger vehicle lanes on Northern Boulevard,” she wrote [PDF]. On Monday, Haider said she and Haber met in August with State Senator Tony Avella, who spoke on their behalf with DOT Commissioner Polly Trottenberg. The scheme to rescind the June resolution and replace it with an endorsement of Haber’s proposal was not announced before the meeting. The board approved the sidewalk “plan” by a vote of 29 to 5. Good to see DOT have balls for a change. I look forward to trying this out once it’s done. That stretch of Northern is frightening even for an experienced cyclist who is comfortable in traffic. Street safety opponents are all the same. DOT had better implement this project, which is now a month late. Personally, I’ll believe it when I see it. They should have started construction prior to the September meeting. The delay has only provided an opening for people like Bernie Haber. Just ridiculous. But kudos to NYC DOT for standing firm. It’s amazing how car drivers think they represent their neighborhoods and would delay a good project and favor death! I want to take issue with your “for a change.” Just over the past couple of years, Mayor DeBlasio overruled Queens CB 4 to install the bike lanes & pedestrian safety improvements on both Queens Blvd AND 111th St near Flushing Meadows-Corona Park. Sometimes City Hall & DOT do cave in to opponents of street safety improvements, but in Queens, lately, they’ve been pretty good, I think. You’re right. Those kind of slipped my mind. Queens lately has a better track record than the other boroughs at actually getting things done. There’s just been much more opposition in Queens. Any clues as to how long it’ll take to build the lane? I’m guessing it won’t be ready till spring next year. Attention Melinda Katz, Queens Borough President: it’s time for Bernard Haber and Christine Haider NOT to be re-appointed to Queens CB 11 after their two-year term ends!!!! They not only are in favor of keeping Queens stuck with unnecessarily dangerous, deathly roads, but they also break the proper and legitimate process that community boards are supposed to follow. It’s not the width of streets that’s the problem; it’s the portion allocated to motor vehicles. After all, a wide street can and should provide ample space to walk, bike, shop, etc. A “boulevard” through a park should be a lot more scenic and a lot less highway-like. I need a Bike Lane on 25A to get anywhere. I live in Nassau. The whole length of Northern Boulevard needs a Bike Lane , from Cold Spring Harbor, West to the Queensborough Bridge. When it’s built and completed, there will be tens of thousands of people riding bikes on it. Meanwhile DOT has closed the Michaels Mile from the pedestrian bridge at 28th ave north, without much protest. They should find a way to repair the bridge and keep the lane open. Parks is in charge of JMM but agreed. 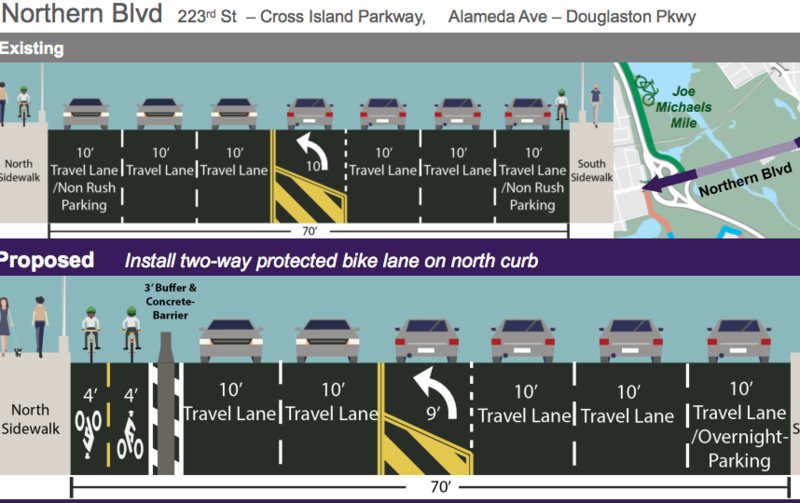 Board chair Christine Haider sent a letter to DOT attempting to negate CB 11's full board vote for a protected bike lane on part of Northern Boulevard. DOT says it's moving forward with the project. One member of the board is dead-set against repurposing street space on high-speed Northern Boulevard so people can safely bike to Joe Michaels Mile.